Caterers can make the difference between a nice wedding and one that is unforgettable! Ensuring the food for your wedding is cooked perfectly and served on time is no small task. For your special Saratoga wedding, choose a caterer that has the experience, the expertise, and the exceptional skills to not only do it right, but do it the way you want it done! Want to create a custom menu that reflects your unique style? Choose from a list of predesigned packages? 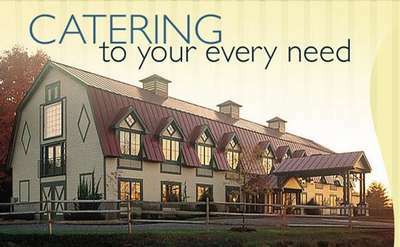 Click on any of the links below to find the Saratoga wedding caterer that’s just right for you. Many of the caterers work with unique outdoor venues in the region to create something that’s extraordinary and uniquely you!